Check out Jeff With Glasses’ section from the GT “Seriously Fun” DVD! Here’s one we were looking forward to seeing pop up online! Check out Jeff With Glasses‘ section from the GT Bicycles “Seriously Fun” DVD! This section is packed with some heavy grinds on every rail and ledge that Jeff came across. You won’t want to pass on this… Hit play now! 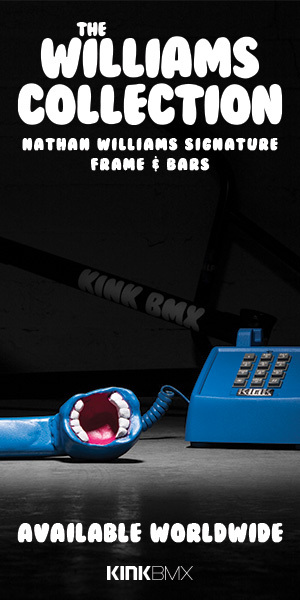 Animal Bikes just dropped this fire new Looking For Spots video for their Streets Finest Series! When you see Animal Bikes and LFS Crew in the same title, you know you’re in for something good! Animal just dropped their latest Streets Finest Series video that features the LFS crew going to work on street spots out East. Rails and ledges slayed, storm doors rode and cars hopped and dumpsters sessioned. You gotta check this one out because it’s a damn good watch from start to finish! “New Jersey’s LFS Crew came through with a BANGER 4 minute piece for the Street’s Finest Series! Want to help Jeff With Glasses out with a college project he’s working on? It’s really easy actually. If you’re in the United States, hit this SURVEY and answer a few quick questions about the frame you ride, and what frame you would choose to ride if you were to buy another. I took the survey and it literally took about a minute to complete! Really easy and it’ll be really interesting to see the results once it’s all done! Better yet, you could WIN A $100 VISA GIFT CARD for doing this! Get more details below! 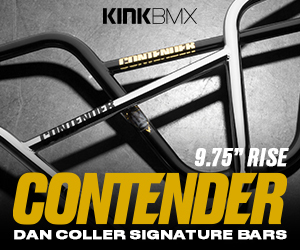 “Is there a common geographical relationship between BMX riders and their frame manufacturer? Are BMX riders buying from their local brand? A study is being conducted by Jeff (With Glasses) Ludwig at the College of Science and Mathematics at Montclair State University to determine how connected we are as BMX riders to our local frame brands. The information that you provide will contribute to a dataset that will be utilized in the study. Participants will also be given the chance to be entered in a randomized drawing for $100 VISA gift card. Two winners will be selected. The survey has a total of 10 questions and asks for your Instagram handle or email address for the contest. Your information will not be distributed or sold to anyone. Click this link to be brought to the survey page.